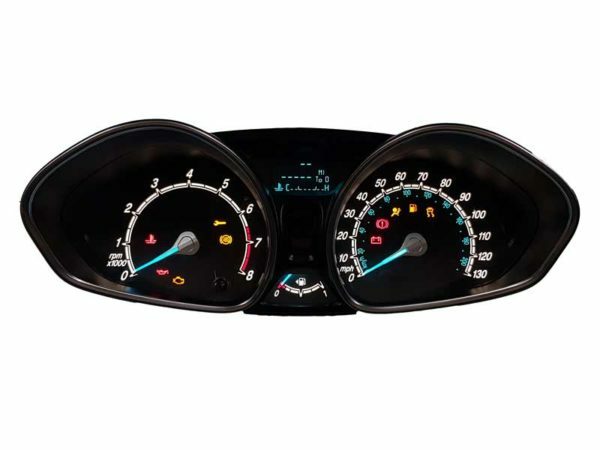 A professional repair service for your Ford Fiesta instrument cluster. Turnaround is 2 days, if you send it on Monday by Royal Mail Special Delivery, you’ll receive it on Thursday by 1 pm. We can also fix it on the same day if it’s urgent but you need to let us know about such need. Do not buy second hand clocks, it won’t work in your car. You will spend a lot more money for the cluster, coding and repair as the other one will fail in the same or other way. We fix many clusters from customers who already bought another one and tried to code it with no success. Please feel free to phone us on 01788 247 470 or email at support@totaltronics.com if you have any questions regarding your Ford Fiesta dash pod repair service.